To begin loving unity and creating a more stable environment of love within the global church body, we must begin to love our church more. Churches get a bad rap at times. Many outside of the church blame it and those within it for various things, and not all of the blame is unwarranted. However, we must learn to stand by our church in ways that inspire change in ourselves and our local church body as a whole. One of the hardest things for a local church body is to experience in-house gossip, which is the primary cause of destruction for unity within the church. Church members have a hard time loving their church. The reasons are various. Some don’t agree with the pastor’s theology or methodology. Some don’t like specific leaders within the church. Others think they could do church better than what they’re seeing. The list goes on and on. Many Christians hop from church to church because of reasons like the ones stated above. We’re always looking to be a part of a perfect church. However, that perfect church does not exist because the church is made up of imperfect people. How do we love our church? Take initiative. If there are things that you see should be done by the church, don’t schedule a meeting with the pastor to air your grievances. Rather, start working towards accomplishing those things. For example, stand outside the doors of your church with a friendly smile if you see the need for a team of greeters to welcome church visitors. Later, you can mobilize a team once others see the need as well. Be forgiving. Churches will occasionally fail because they consist of people. Love those who fail by not turning your back on them, but expressing Christ’s love towards them in hopes of driving unity. Pastors experience the worst backlash when they fall. 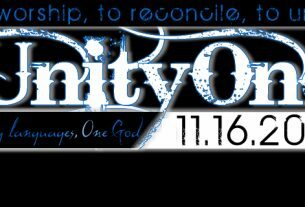 However, loving them restores not only church unity but a love of God in all involved. What are you doing to love your church more? Let us know in the comments or on Twitter.